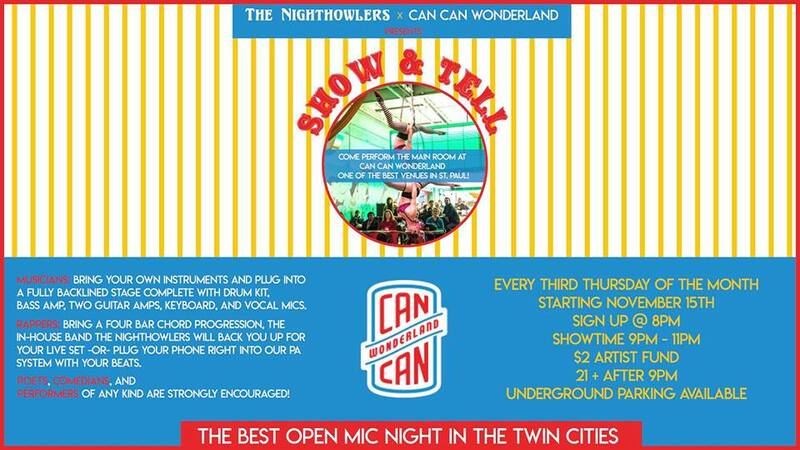 Open mic night is hosted by The Nighthowlers at Can Can Wonderland every third Thursday of the month. All entertainers welcomed and encouraged! Show starts at 9pm. Sign up starts at 8pm. $2 artist fund, 21+ after 9pm.